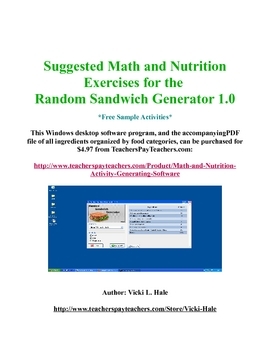 This free sample includes one recipe from the Random Sandwich Generator software for sale on my account for $4.97. The software is accompanied by a PDF file mix-and-match ingredient planner. 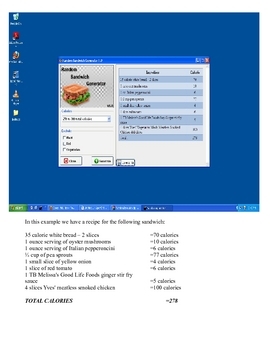 You can easily adapt the recipes from the software for math activities and nutritional literacy. This free sample document includes a screenshot of one recipe and 5 ways you can incorporate it into classroom activities.